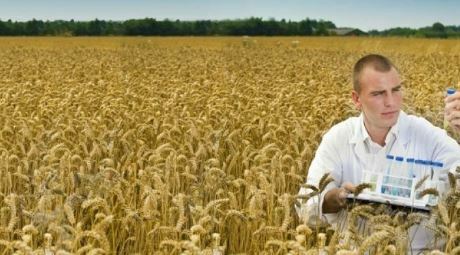 Most people commonly think of Celiac disease as an allergy to wheat. This isn’t exactly true. Celiac is a lifelong inflammatory auto-immune disorder for which there is no known cure. The only treatment for Celiac disease is to completely eliminate gluten, a protein commonly found in wheat, rye and barley, from your diet. When someone with Celiac eats gluten, they damage the lining of their small intestine, interfering with the ability to absorb nutrients from food. In short, the body attacks itself every time gluten is consumed, and repeated consumption could lead to cancer, osteoporosis, anemia, diabetes and thyroid disease. Approximately one in 133 people in the U.S. are diagnosed with Celiac. This figure, however, is only an estimate considering only 5 to 10 percent of the affected are aware they have Celiac. Since Celiac is a multi-system disorder, the symptoms manifest themselves differently depending upon the individual. For instance, when my sister or I eat gluten, we are plagued with crippling stomach pains for hours, then develop a canker sore the size of Mars a few days after. The combination of the canker sore and sharp stomach pain has kept me loyal* to the gluten-free diet. 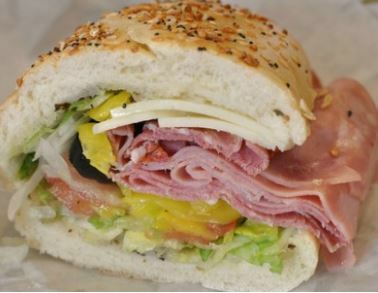 *I broke the diet once for a Wegmans sub which, although delicious, taught me that no sandwich is ever worth that kind of pain. My mother, on the other hand, claims that her only side-effect from breaking the diet is a runny nose. My sister and I both think she just uses that as an excuse to eat chicken parmesan in front of us, but she swears by it. Due to the variance in both the severity of the symptoms and the way in which the symptoms present themselves, an accurate Celiac diagnosis can be a very time-consuming and expensive process. It took approximately two years of blood tests, new diets and a biopsy before my sister was diagnosed with Celiac in 2004. Once diagnosed, most individuals find themselves at a loss and start looking for answers to questions like: what does gluten-free mean? Where do I go to buy gluten-free products? How much more money do these products cost? Adopting a gluten-free lifestyle is a discipline that requires self-control, awareness and dedication; the effort required to ‘go gluten-free’ has made me passionate about helping others do the same. In order to gain awareness and recognition of the disease, the Celiac community and its supporters have pushed the Food and Drug Administration to officially define what constitutes a food product as “gluten-free”. Finally, on Aug. 2, 2013, the FDA issued a ruling which clearly defined the term “gluten-free” for voluntary food labeling. It is worth noting is that the “gluten-free” claim is voluntary for foods that are gluten-free by nature. 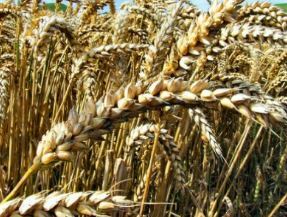 Although manufacturers have become more aware and knowledgeable of Celiac disease within recent years, the FDA’s ruling is still a landmark for those with Celiac whose only option for treatment is to follow a gluten-free diet. 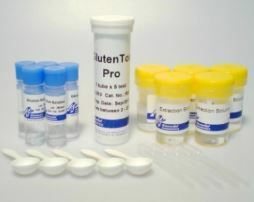 For a professional’s input, I spoke to Emily Kaufman, president at Emport, LLC, a company that specializes in the distribution of GlutenTox, a line of gluten test kits which can detect trace levels of gluten contamination in foods and on surfaces. “Even before the legislation was passed, I was surprised to see how many manufacturers were interested in GlutenTox,” said Kaufman. “The FDA’s regulation reinforces the commitment that many manufacturers have already decided to make towards safe products and accurate labeling,” Kaufman remarked. The FDA’s ruling establishes more consistency in food labeling, which will enable easier identification of safe foods for gluten-free eaters. I asked my friend Julie Reinstein, an incredible gluten-free baker, about her perspective on the rule and how she thinks it will affect consumers. “The FDA rule was a long time coming and is both positive and negative for the Celiac Community,” she said. “The positive side is that there is a now a standard definition for the term ‘gluten-free’. What does concern me is whether the number of products available to us will decline. If products get tested and fail, it could reduce our choices and/or drive up the cost of the product itself,” said Reinstein. will manufacturers comply with the rule and start getting their products tested to meet the FDA requirements? 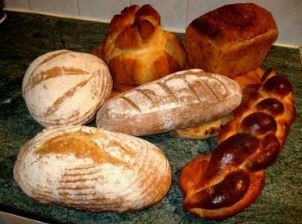 Will gluten-free food become more expensive due to the increased cost for testing these products? Do you think the availability of gluten-free items will be affected based on these new regulations? Although there are a lot of questions that will only be answered with time, there is no doubt that the FDA’s definition of the term “gluten-free” will allow gluten-intolerant individuals to make food choices with increased confidence.